Thanksgiving is tomorrow and I have already made this Spicy Pineapple and Cranberry Chutney so I can cross it off my cooking to do list. I try to do as much cooking as I can the day before so I don't have to panic and do everything on the big day. I want to enjoy my Thanksgiving and relax with my family and friends after all. This chutney is the perfect dish to make ahead because it's best served chilled. 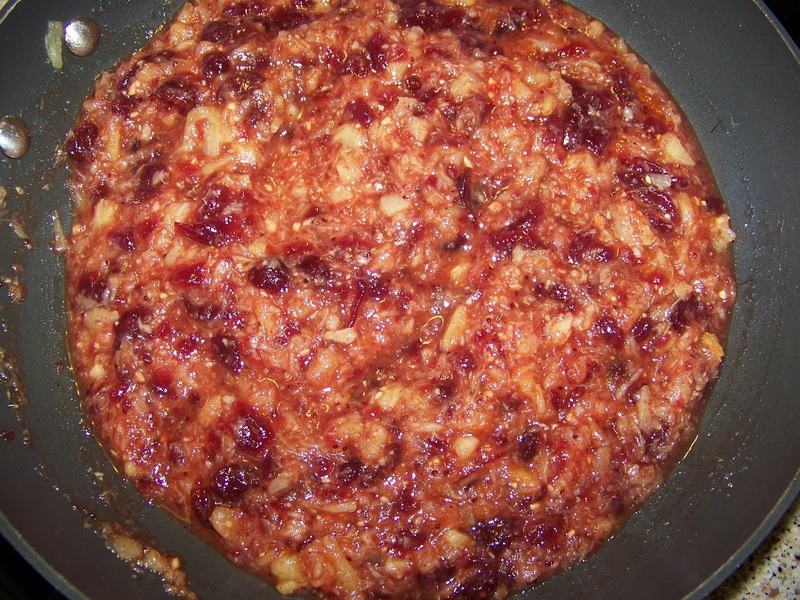 I also love this chutney because it's so easy to make as well. I simply open a few cans, add a few spices and let it cook away on the stove until it's done. Then I just need to chill it and serve on the big day. This chutney is just the added spiciness some of us crave on the traditional thanksgiving table. I also love that this chutney goes well on those leftover turkey sandwiches. 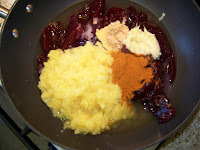 As a rice and curry girl, this chutney is very versatile because it is also great with any rice and curry meal as well. I always make an extra batch of the chutney for my mother because she loves it to eat as a sweet and spicy addition to her meals after the holidays. So if you are craving something a little spicy and exotic on your traditional Thanksgiving table... think spicy pineapple and cranberry chutney. Add all ingredients into a sauce pan bring to a boil and stir until all ingredients are well mixed. 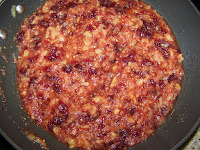 Then reduce the heat to medium low and cook for 30-40 minutes until chutney thickens. Stir periodically to make sure chutney does not stick to pan. Finally taste for sweetness and spiciness. Adjust as needed. Serve chilled ( I recommend to chill chutney overnight). Enjoy. 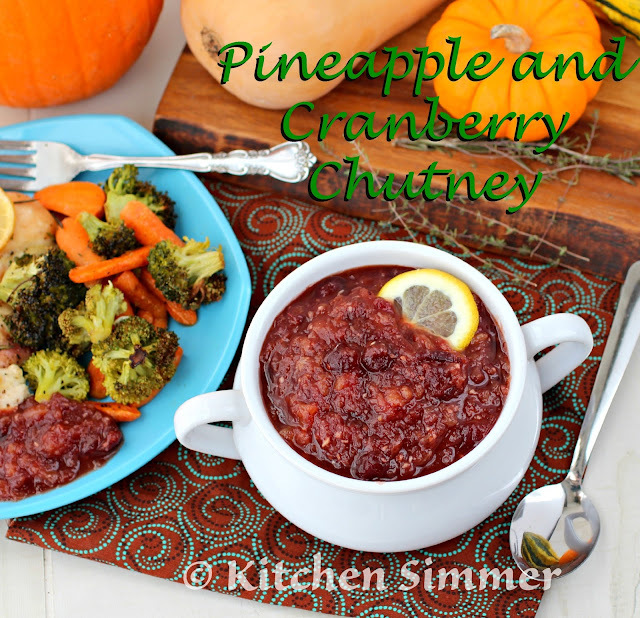 I so love the idea of this Spicy Pineapple and Cranberry Chutney Ramona! It sounds so much more exciting than plain ol cranberry sauce! Brilliant recipe! Wishing you and your family a very happy Thanksgiving! I love this idea ! What an interesting and healthy way to serve a healthy meal. Oh my! 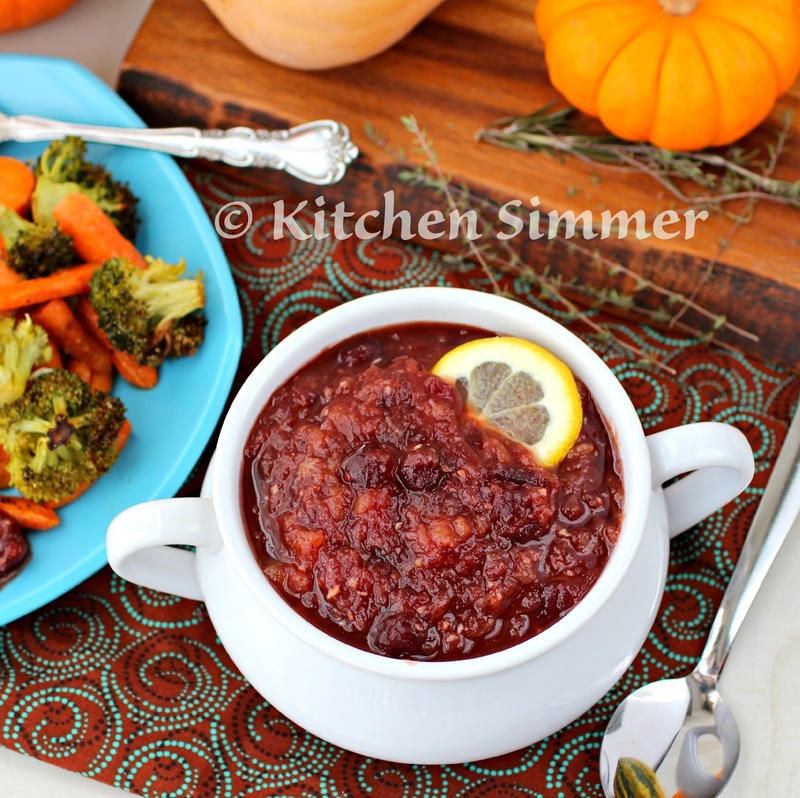 I absolutely adore the tropical twist on cranberry sauce. Homemade is a must for me and I can't wait to try yours! Happy Thanksgiving, sweet friend! 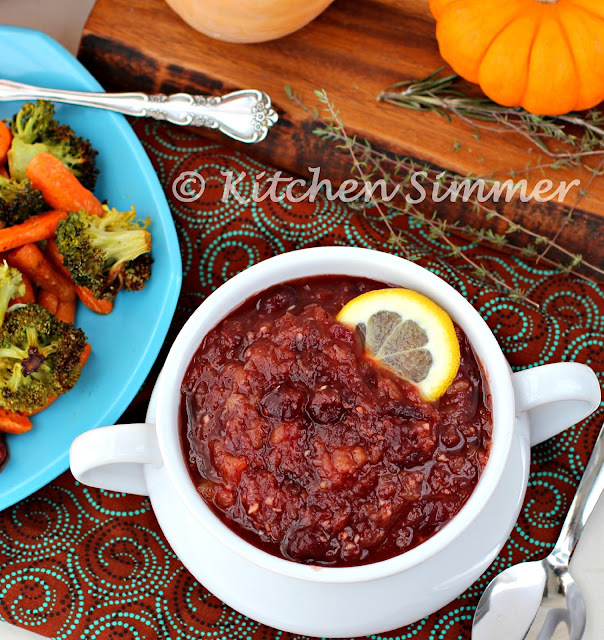 I love a spicy cranberry sauce! I make a cranberry sauce with apples, oranges, lots of spices and a little heat! I've never tried making it with pineapple! Definitely a nice way to make cranberry sauce. I'm the only chutney fan in the family so I get to have this all to myself!